Confusion prevails over the age of the girl who was detained by the Jammu and Kashmir police along with Indian Army Major Leetul Gogoi in a Srinagar hotel on Wednesday. The girl's parents maintain she's a minor, born in 2001, a statement backed by the hotel manager who recorded her details. However, a few police ​officials have said she's legally an adult, as evidenced in her Aadhaar card. A few other policemen, the reporter interviewed the day after the two were held, described the girl as being under the age of consent. Gogoi was in the news last year for allegedly strapping a Kashmiri shawl-weaver to the bonnet of his army vehicle and driving through a few villages, ostensibly ​to ward off stone pelters. 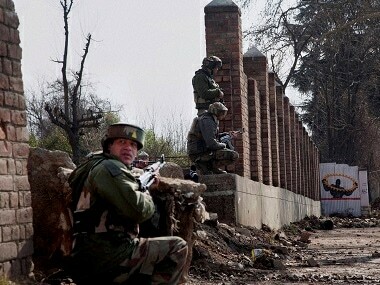 An army enquiry found nothing amiss in Gogoi's actions. He was later awarded the Army Chief of Army Staff Commendation Card. 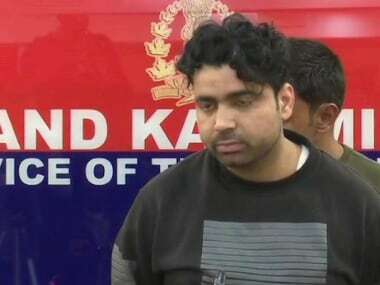 He was briefly detained on Wednesday morning after the two were found together in a hotel near Dal Lake in Srinagar. According to the police, he checked in as a "businessman". It was unclear what he, or the girl, was doing at the hotel. Gogoi has not been charged with a crime. 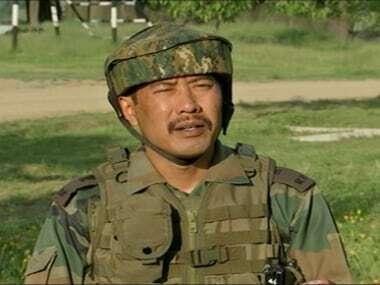 Army Chief General Bipin Rawat, meanwhile, said, "...If Major Gogoi has done something wrong then I can say that he will be given due punishment & the punishment will be such that it will set an example." On Thursday, the reporter travelled to the village where the girl lives and was directed to a two-room tin-shed where her family lives. The house of the family was washed away in the 2014 floods and lack of money forced them to relocate to this makeshift lodging. We aren't identifying the village given the security threat the family faces. The reporter met with two women in the shed, both visibly frightened of venturing into the details of the incident. One of them, Mehmooda (name changed), mother of the girl, sobbed quietly. She said the girl was the eldest among four siblings, and had left home on Wednesday morning to "visit a bank" but instead landed up in a police station. Mehmooda said Gogoi along with a man named Sameer Mala, who also works in the army, visited her tin-shed on two occasions. “Once he came in the middle of the night. There was furious knocking on the door and I fainted. On the second occasion, at around 7 pm, he came along with Sameer. The army officer asked if anyone was harassing us. We were surprised and told him that there was no such issue,” she said. It is as yet unclear why the two men visited the family. But the mother failed to produce any documentary evidence of supporting her claim about the age of her daughter. According to her, the girl, who failed her class 10 exam, was working with a self-help group. She said Sameer Malla helped her daughter join the self-help group. 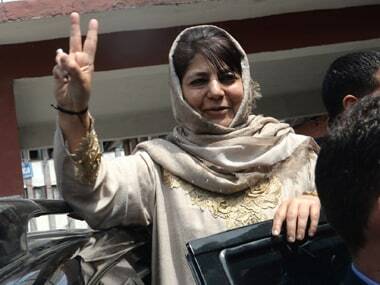 In Srinagar, no one, including the police, was willing to state the girl's age for the record. While a few police officers told reporters on Wednesday that the girl was a ​minor, a senior officer told Firstpost on Thursday that she was indeed an adult. He added that “no case” would be made out against Major Gogoi. "It looks like a case of two consensual adults being together," he said. The Tribune reported that the “girl came to the hotel of her own free will… and she wanted to spend time with the Major.” The newspaper quoted sources saying that the girl showed her Adhaar card to the magistrate mentioning her birth as 1999. However, police sources said Gogoi has a lot to answer for, including why he reserved a hotel room in a part of Srinagar that is volatile, risking his own life and that of others. It is as yet unclear if he informed his unit about his stay in the hotel. He is reported to have told police that the visit was made to "meet a source". 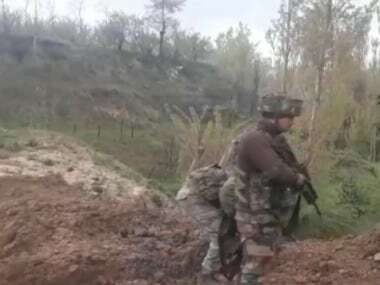 It is not common for army officers — even those involved in counter-insurgency operations — to check into hotels or take up lodgings in private homes. While no case has been registered against Gogoi, the police will prepare a report about the incident. "We have started investigations and we are hopeful that the army will cooperate with the police to bring out facts of the matter," a senior police officer said.